So, so busy today, finally have some time to take a breather. LT insisted on helping me to make his birthday cuppies for tomorrow, but ended up spilling my eggs. -_- Good thing I stocked up on the eggs, else I'll have to run out to get more. 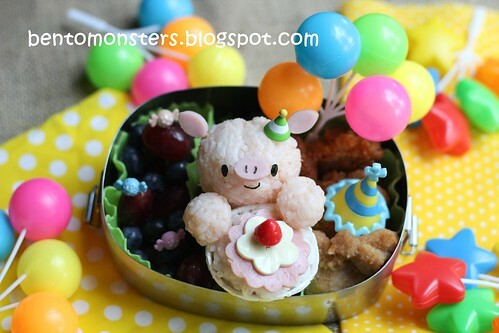 A piggy birthday bento for LT, who's born in the year of the pig. In the box are onigiri, grapes, blueberries, chicken karaage and broccoli (hidden behind and underneath the onigiri). 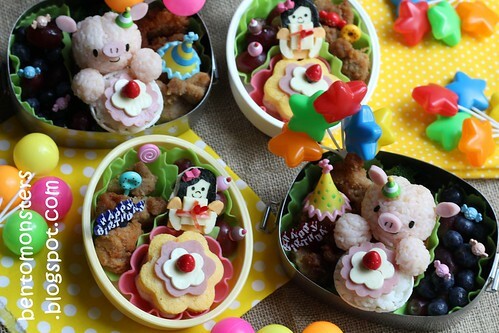 Bento for LT to bring to School, in the box are strawberry jam bread, chicken karaage and grapes. 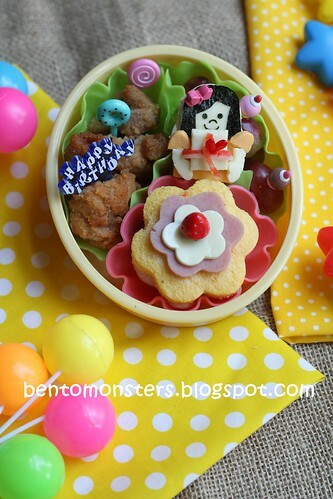 Bento for IT's recess, same food as above, except he's having peanut butter bread. Happy birthday to LT! 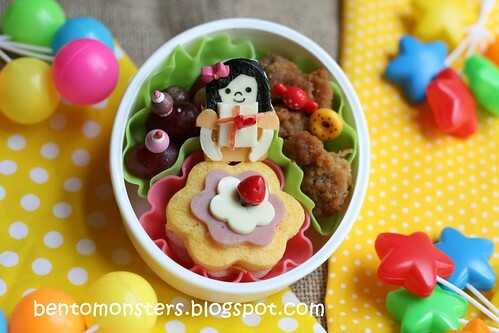 ^^ Great bentos! Happy Birthday LT! 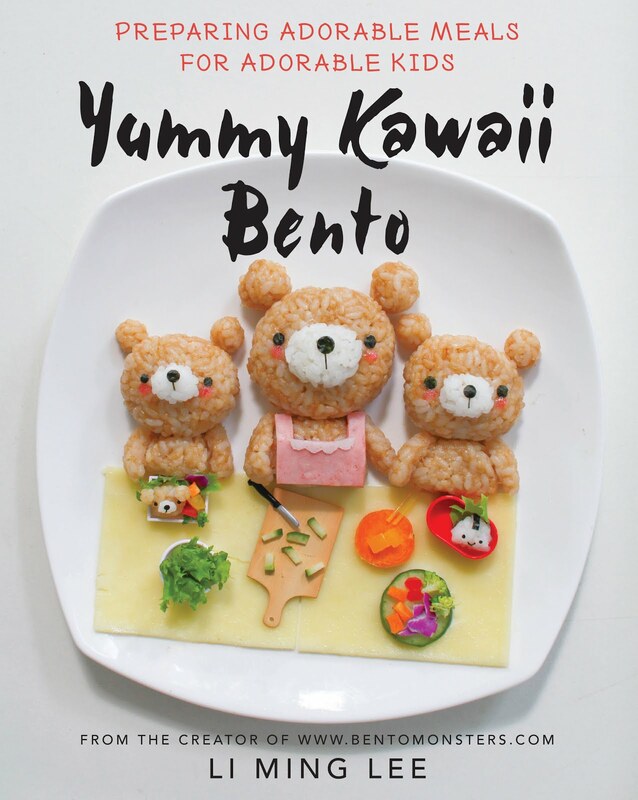 Cute Bentos as ever! 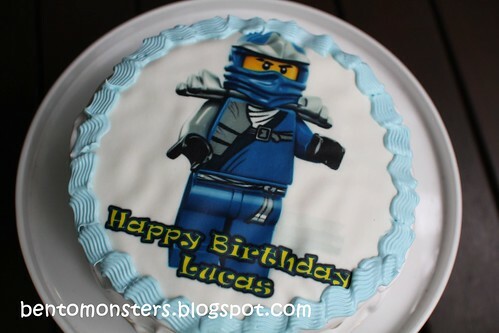 Have a blessed birthday LT! Those piggies are soooooo cute! 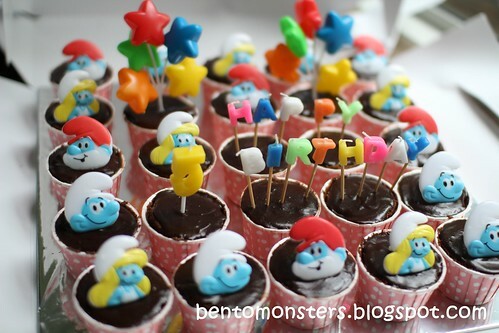 Happy Birthday to your little one. Happy birthday to LT boy! 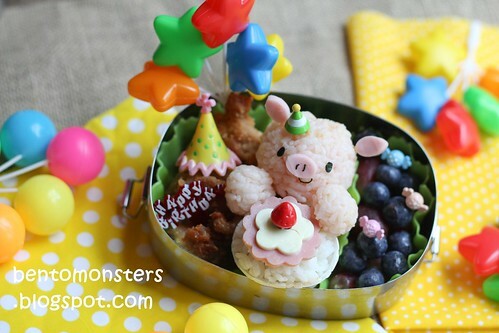 What a cute piggy and birthday bento!